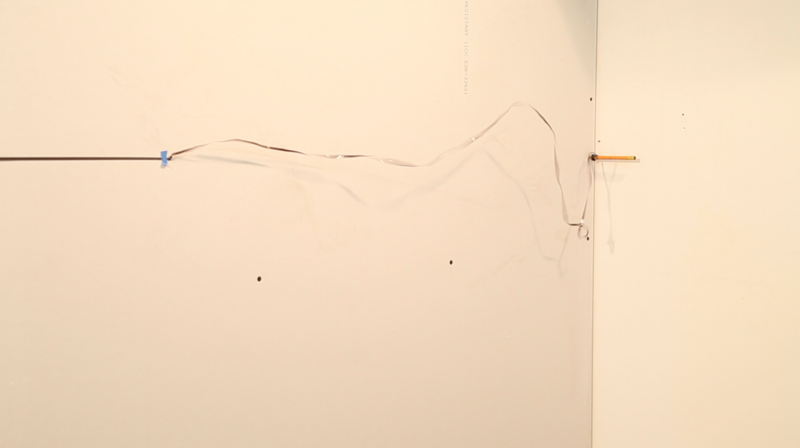 Celine Dion cassette tape, looped audio, fan, unpainted drywall, blue tape and a pencil. In this installation, I've cut out a portion of the cassette tape from Celine's Let's Talk About Love album. This physical line, which measures in meters before it enters the frame, equals the musical length of a single song-- Miles to Go (before I sleep).